We recently identified a vulnerability in the digitally signed Bitdefender GravityZone installer. The vulnerability allows an attacker to execute malicious code without breaking the original digital signature, and without embedding anything malicious into the installer itself. This means that an appropriately positioned attacker can cause the signed installer to run an arbitrary remotely hosted executable. We consider this to be a vulnerability worthy of analysis because of the way that it works. It is a good example of how developer creativity can bypass otherwise robust security controls. Earlier this year, we noticed a tweet about some AV comparison results that prompted us to download an evaluation copy of the Bitdefender GravityZone installer. This was a URL to an XML file, which was interesting enough to prompt us to dig a little deeper. What would happen if we replaced the base64 string with one that points to an XML file controlled by us? We reran the installer and the results are shown below. 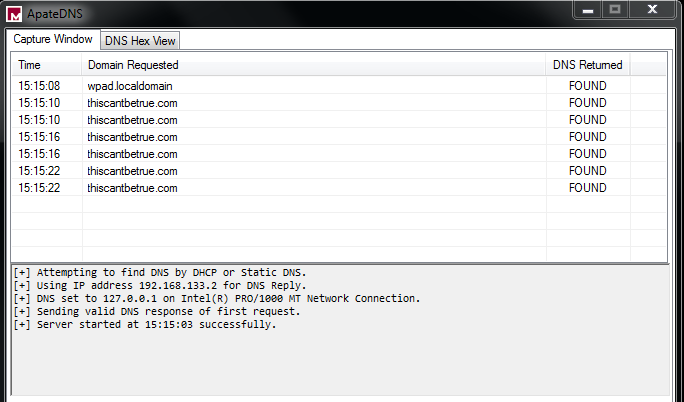 As you can see, the executable was attempting to download the XML file from our own domain. At this point, we downloaded the original XML file and examined its contents. We then copied the modified XML file over to our HTTP server. What we had at that point was the signed GravityZone installer that now contained a URL in base64 that in turn pointed to an XML file under our control. The modified XML file had a new downloadUrl entry which pointed to our HTTP server. We were missing an extra sub-directory named win32, and on top of that we noticed that the setup was looking for another XML file, which we didn’t yet have. Note that our guest OS was 32-bit, and for that reason the installer was looking for the 32-bit modules on the remote server. We had to identify the structure and contents of the data.xml file that the setup was looking for, and the easiest way to find that out was to allow it to contact the original server. At this point, we used a simple trick to skip looking at encrypted data passing over HTTPS, and so we restored the original download URL back to the installer.xml, but we replaced HTTPS with HTTP instead. The data.xml file contained a list of the files that will be downloaded. The following image shows a few of them. As you can see, the setup application blindly trusted the installer.xml file and subsequently the information provided by the downloaded data.xml file. In other words, we could change that list and the setup application would download and execute a file of our choice, as long as we also provided the correct MD5 hash for it, which of course was not an issue. To make things worse, an attacker could set up a server with all the legitimate files and just add an extra executable and/or DLL module to the list. This would allow the installation to progress as expected, while silently performing malicious activity on the target system. You must never blindly trust a binary just because it is digitally signed. Even robust security measures can be compromised by subsequently poor implementations. A digital signature can ensure that a file has not been tampered with, but this does not include the filename. As remediation for this vulnerability, Bitdefender released new patched installers and went through a certificate revocation process of the affected certificates.